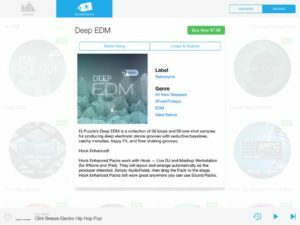 Loopseque is music ecosystem which includes powerful sequencer, sampler, fx processor and record store with many beautiful releases from talented artists. The design of Loopseque is a circle – a natural solution for visualization of cyclic music structure. Music starts with the first touch and within seconds becomes alive. It’s not just a rhythmic pattern in your hands, but the whole composition. Very similar to the Future Retro Revolution and Orb. Loopseque is a game in which “achievements” are measured by the richness of sound created by the musician on the fly, and “high score” is the number of listeners who enjoy the music of the artist. It does not matter how old you are, what education, faith, political views, tastes and preferences you have. 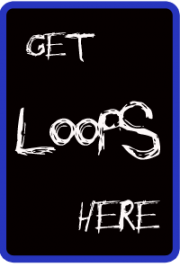 Loopseque is simple, it is even easier than it seems. You always see what is happening. You can create, edit, produce your song as if you’ve always made music. moxMatrix turns your iPad into a unique electronic musical instrument. It’s a new kind of sampling groovebox! Enjoy the vibrant intuitive interface and push your rhythmic and melodic musical ideas to the limit. It pulses under your touch and with your music. Create loops that include 10 distinct sampled voices and two drum tracks with 12 drum samples each. Use your own samples and create a truly unique beat. Simply drag them into the application when your iPad is connected to iTunes. Each track can be customized with a sample set, transposition, scale, and mix volume. Assign distinct scales to each track, from melodic minor to the whole tone scale to the blues scale. Store your loops in the pattern bank, capable of holding 32 separate patterns. Loops can be from one to sixteen measures long — that’s 256 beats! Use your own sounds or use any of the several dozen included. Engage JAM mode to improvise with all your tracks over a beat you’ve created. 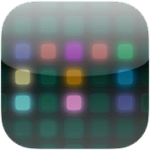 moxMatrix represents a convergence of beauty of design, ease of use, and the iPad’s revolutionary possibilities. It’s our hope that this instrument helps you explore new musical ideas and achieve creativity in unexpected ways. 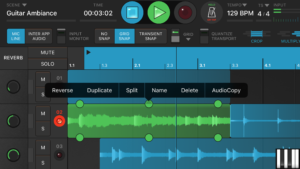 Make Dj mixes and original tunes with the iPad using Mixxmuse. ♫ Touch the Music! ♬ ⇒ Enjoy a unique musical experience on your iPad! ♫ Create breathtaking mixes in real time that any pro-DJ would envy. ♫ So what is MixxMuse DJ HD? ♫ A normal DJ control mixes 2-3 tracks at once. ♫ You don’t have to be a musician or a pro-DJ to use MixxMuse DJ HD! We have prepared all the music so any normal person could create a hot mix. However, MixxMuse will have additional features that even pro-DJs would love. ♫ We are constantly working on new awesome updates!